A good, healthy sourdough starter is key to delicious sourdough bread. But what if you don’t have time to catch a wild starter? Here is a quick and easy sourdough starter that only takes 24 hours to make. There are a number of reasons why it can be difficult to make a really healthy traditional sourdough starter. Sometimes starters take too long to become active and never become very vigorous. They can grow mold or turn pink (that has happened to me). And a sourdough starter can look great, but taste bad. , it will quickly get taken over by the local varieties of yeast. Poor air quality: If you live in a heavily polluted city, or have problems with mold in your building, then you may have trouble maintaining a healthy sourdough starter. 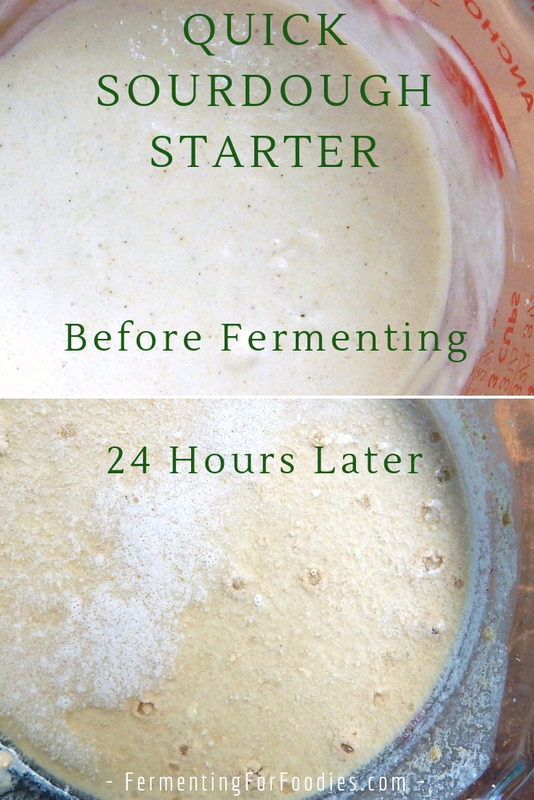 in your home will greatly reduce the wild yeasts and bacteria that can colonize your starter. , are great at catching sourdough starters. However, other flours like rye, barley and rice are difficult to maintain as sourdough starters. It isn’t impossible, as my husband regularly keeps a rye starter, however, his rye starter is never as vigorous as my buckwheat starter. 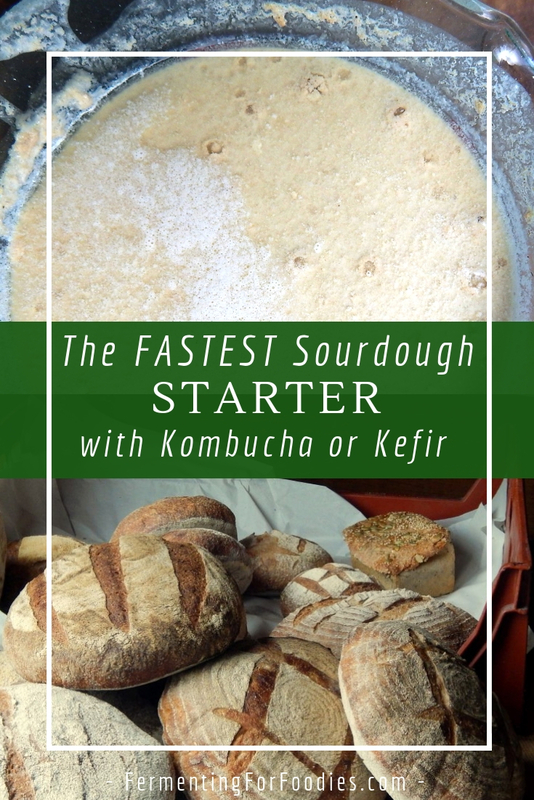 If you are struggling to keep a healthy sourdough starter, or if you don’t want to wait for 5-7 days to develop a health starter here is an alternative way to kick-start your sourdough. Start your sourdough with a culture that already contains active bacteria and yeast. Mix equal parts (by weight) of flour and fermented beverage in a glass container. Loosely cover with tea towel and leave in a warm spot. Above the fridge works well. Stir every 12 hours until ready to use. Leave it for at least 24 hours, and up to 72 hours (3 days). 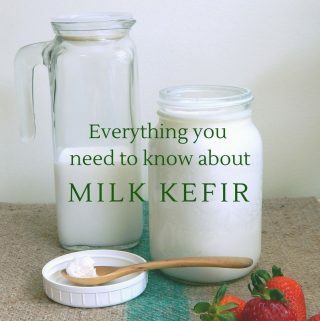 The best beverages to use are either milk kefir or an unflavoured kombucha. Don’t include the actual SCOBY or grains, the fermented liquid will have enough yeasts and bacteria to kick start your sourdough starter. However, avoid using off-the-shelf grocery store kefir and kombucha. They won’t have active yeasts. that has a zeroing function. 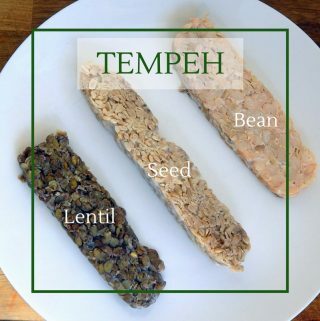 If you have to measure the ingredients by volume then remember that wholegrain flour is heavier than white flour. Here’s sourdough bread techniques for gluten-containing breads. And here is my gluten free bread flour mix and my favourite GF bread recipe.